Because you follow my blog, my position on traditional PBMs should be clear. They're rent-seekers and should not be given blank checks, which essentially is what most plan sponsors do. Read the following article by Bruce Shutan. Occasionally, I like to post a peer's work to further illustrate my point(s). Each party has an agenda, however it's up to you to decide which side of the fence you're going to join. A battle is brewing to influence public opinion over the drivers of rising prescription drug benefit costs, cost-containment strategies and the path to meaningful health care reforms. On one side of this spirited debate to win the hearts and minds of HR and benefit practitioners, among other key stakeholders, is the National Community Pharmacists Association (NCPA) in Alexandria, Va., which claims that pharmacy benefit managers drive up health insurance costs and restrict patient choice. Just across the Potomac River in Washington, D.C., is the Pharmaceutical Care Management Association (PCMA), which vehemently defends its PBM membership. 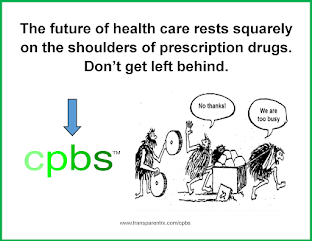 A recent salvo fired by NCPA includes a humorous video, “The Third Wheel,” and website (www.whorunsmydrugplan.com), which cast PBMs as culprits – with the former portraying them as a prescription middleman impediment to patient relations with doctors and pharmacists. NCPA describes spread pricing, rebate pumping and mail order as “cost-inflating PBM practices.” The campaign is a response to PCMA’s “That’s What PBMs Do” advertising from earlier in the year, according to a spokesman for that group. “Too many plan sponsors, policymakers and patients remain unaware of how large pharmacy benefit managers affect their prescription drug benefit and their health care premiums,” NCPA CEO B. Douglas Hoey said in a recent statement. The NCPA credits its more than 23,000 independent community pharmacies for dispensing lower-cost generic drugs and countering a $290 billion problem of non-adherence with prescribed medications. The community pharmacy model also is described as superior to PBM-owned mail-order pharmacies. Charles Coté, the PCMA’s assistant vice president of strategic communications, counters that “independent drugstores are trying to maximize their own reimbursements” – noting that PBMs are hired by large and small employers, unions, Medicare Part D, the Federal Employees Health Benefits Program and state government employee plans to drive down prescription costs. He says PBMs will save consumers and payers nearly $2 trillion in prescription drug costs over the next decade and took exception to the NCPA’s portrayal of his group’s members. “Employers want even greater use of proven PBM tools to save money and reject the drugstore lobby’s agenda that would force them to pay more for prescription drugs,” according to Coté. He says that agenda includes stopping employers from promoting home delivery of 90-day prescription drug refills, forcing plans to include drugstores that overcharge and demanding higher payments from the government and employers. by Bruce Shutan, a former EBN managing editor, is a freelance writer based in Los Angeles. Simply put, this statement is true. Ask 100 benefit managers and/or brokers what is Differential Pricing and 75% will get it wrong. The reality is that decision-makers for payors rely heavily on their agents whom either don't know enough about the PBM industry or just don't care enough to get better deals for their clients. Worse yet, many are aligned with PBMs earning fees and commissions! Most every word above from Mr. Hoey is true. He has exaggerated somewhat with such a broad use of the word PBM. A truly transparent and pass-through PBM will not engage in any deceptive practices. Furthermore, it will sign on as a fiduciary. See my previous blog post titled "Rent-Seeking..."
Charles Coté, the PCMA’s assistant vice president of strategic communications, counters that “independent drugstores are trying to maximize their own reimbursements...” – noting that PBMs are hired by large and small employers, unions, Medicare Part D, the Federal Employees Health Benefits Program and state government employee plans to drive down prescription costs. Is Charles serious (keep in mind that he works for one of the largest PBM lobbying arms)? 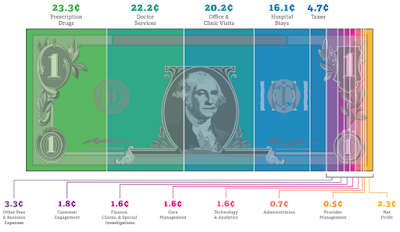 Doesn't every business want to maximize revenue? PBMs drive cost down there is no argument here. The problem is that traditional PBMs like Express Scripts and CVS/Caremark do not pass all those cost savings on to clients, which is the case for a PBM signing as a fiduciary. In fact, deceptive practices are far too often utilized by these traditional PBMs to hide cash flow from deserving clients. I would argue that PBMs aren't hired primarily for their ability too drive prescription costs down, but instead too manage the drug benefit; claims adjudication, formulary management, eligibility, DUR etc...Most self-insured companies would hire a PBM (if a drug benefit were offered) as long as the cost wasn't extremely exorbitant, relatively speaking. PBM services save companies a boat load of time and hassle - this is the real benefit. Any cost reduction is just an ancillary feature. What do cost savings really mean when most payors don't know the actual cost of their drug benefit to begin with? Think about it.